The expanive yet innacessible corridor spaces of the Carl-Bolle Elementary School were newly rennovated based on the developed desires of the school-pupils. 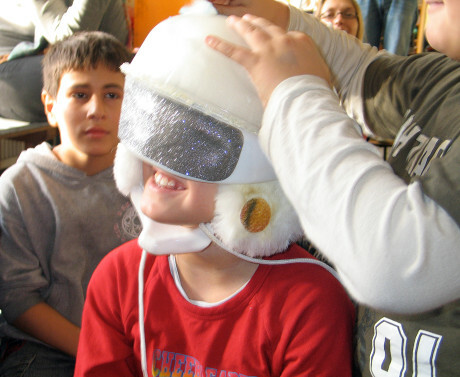 Together with the pupils, the Baupiloten BDA made a journey of discovery in the „Science Center Spectrum“. The resulting observations from the children formed the basis for the architectural formulation of the School’s leisure-areas, such as desired perspective-changes, light-phenomena, etc.